• Free setup and vending at all tracks, except for normal spectator and camping fee’s. •Huge series end award banquet. •Dealer agrees to redeem PacWest Bucks. Q: Do I have to be a member to compete in the Pac West MX Series? A: Yes. Points will be cumulative. Each round counts for series points. 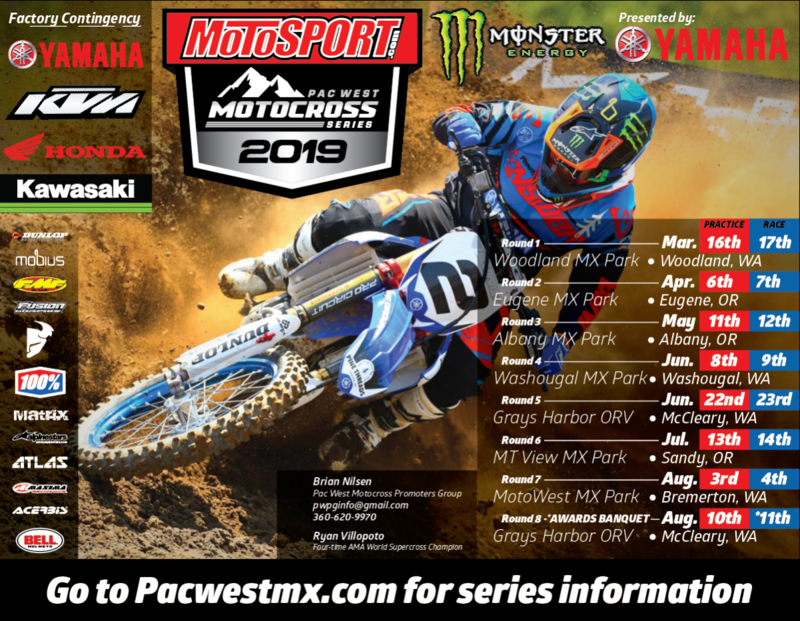 $10 Pac-west moto-bucks for all participants per entry. Good to redeem at all sponsoring dealerships. Huge series end awards for the riders and dealership teams.